HONOURS I have a BSc (Hons) in Geology from Glasgow University, an MSc in Geochemistry from Leeds University and a PhD from Robert Gordon University, Aberdeen on biological colonisation of building stone. I got involved in this project when one of my colleagues told me there was this mad idea for celebrating superwomen of science and turning our conservation science data into music. I have no musical experience and had never conceived of such a thing, but the more I thought about it the more intrigued I became. Science data is full of themes, patterns and variations – the same concepts that musicians work with, and an enormously fertile area for what initially seemed like an outlandish collaboration. The music is created from a number of different sources, but primarily from Data provided by Dr Maureen Young relating to the work she is involved with at the Argyll Tower in Edinburgh Castle. 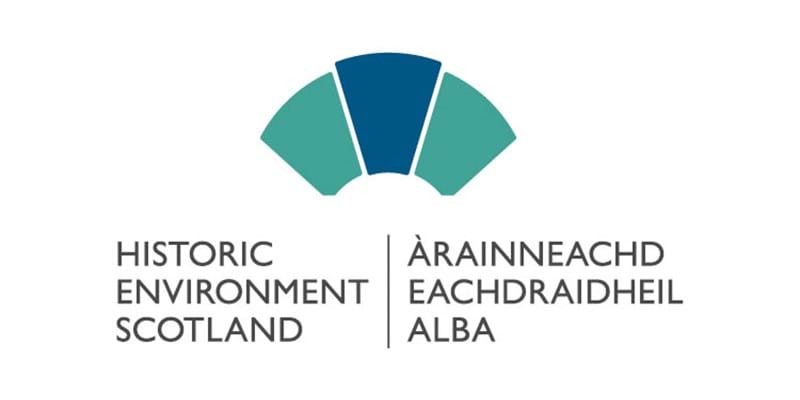 The data is part of the work that Historic Environment Scotland carries out to conserve and restore their buildings,and involves Thermal Imaging, Moisture Analysis and Salt Analysis. The story is that of Lady Sophia Lindsay who was the step-daughter of the 9th Earl of Argyll after whom the Tower is named. He is said to have been held beneath where this tower now stands during his various imprisonments at Edinburgh Castle. The links with Stirling do not just come from the Engine Shed where the conservation scientists are based, but from Argyll’s Lodging, another HES property very close to Stirling Castle where the Earl lived with his second wife, Lady Anna Mackenzie and her daughters – one of whom was Sophia. Her courage in bringing a servant to the Tower who swopped places with Argyll, allowing him to go free, almost led to a public flogging, commuted to imprisonment. She suffered a great deal for Argyll and eventually, at a late stage in life, married his son Charles, but they had no offspring. The composer acknowledges support from Creative Scotland, Historic Environment Scotland and the Scotland Foundation towards the writing and first performance of this score. The composition was also supported by Hope Scott Trust. Frances M Lynch is supported by PRS Foundation’s The Open Fund for Music Creators. The performance was also supported by the Ambache Charitable Trust. I was always interested in science and from my earliest school years I had never considered any other career. I was fascinated by TV documentary series’ and scientific books – anything on a science, astronomy, biological or engineering theme – showing how the application of scientific techniques can reveal deep truths about the complex interactions in the world around us, making unexpected connections between seemingly unconnected things. Carl Sagan’s TV series and books were a particular inspiration and I was lucky enough to attend the series of Gifford Lectures he gave at Glasgow University in 1985 on the theme of “The search for who we are” where he gave a personal account of how he perceived the relationship between scientific knowledge and humanity’s place in the cosmos. When I went to University I decided to specialise in Geology. 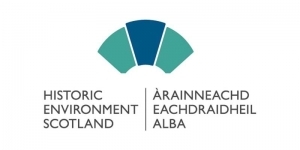 The ‘stone’ connection eventually led me into the historic built environment and to my current position as a conservation scientist in Historic Environment Scotland, providing scientific support for colleagues who do the hands-on conservation work that preserves our heritage for future generations. I once stood on the head of President George Washington! I was part of the team laser scanning Mount Rushmore National Memorial in USA. We had to set up laser scanners on tripods on and around the president’s heads, so I also got to sit under Roosevelt’s chin.